Moss Issues? Let Microtech Fix it! Getting rid of moss on roof, wall and driveway surfaces is a time consuming task. Unsightly and damaging moss can be removed from tiles, brickwork, and drives using a pressure washer, and regrowth can be prevented with the use of an effective masonry biocide treatment. Moss is the result of a symbiotic relationship between algae and fungi. The alga gives nourishment to the fungi, which in turn provides moisture and shelter for the algae. The relationship works incredibly well and so moss is found all over the world. Fortunately, moss is quickly and easily removed using the Microtech Moss Removal Biocide available from Twistfix. Several problems are caused when moss is allowed to grow on roofs, patios or wall surfaces. Masonry can become damaged and discoloured by moss and is incredibly unsightly. Damp and water on roof tiles, walls, drives and paths will encourage the growth of the moss or lichens, causing surfaces to become dangerous and slippery. Moss can also have quite an unpleasant smell and so it is essential that the problem is immediately attacked. Twistfix Microtech Moss Removal Biocide is a powerful treatment designed for the professional removal of moss, algae and lichens. The innovative micro-emulsion formula also includes an effective fungicide that will completely remove dry rot and mould spores from masonry, giving fast, comprehensive results. To remove moss and fungal spores, we recommend diluting the concentrated formula to make 25 litres of product. One litre of this mixture is sufficient to cover 2.5m² of surface though 10 litres per m² should be used for removing dry rot spores. After pressure spraying or scrubbing to prepare the area, the mixture should be applied to the paving, roof tiles, walls or other masonry with a low-pressure spray. 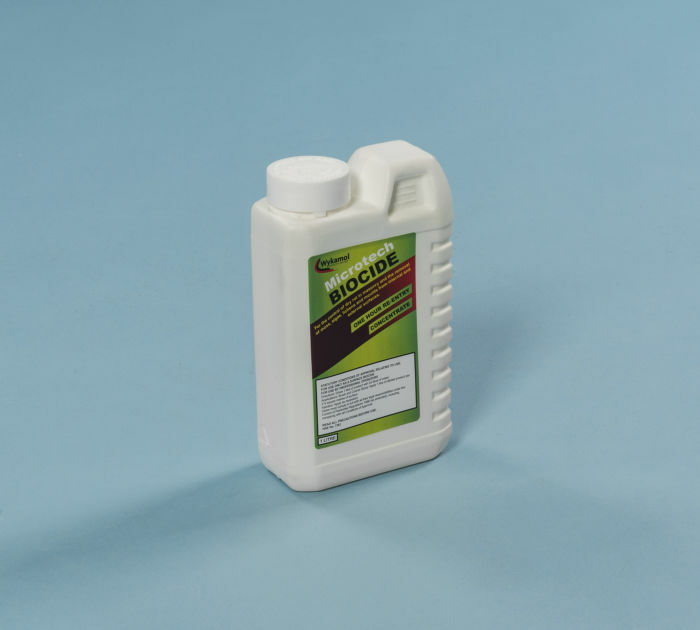 Twistfix Microtech Moss Removal Biocide is supplied as one litre of concentrate. As with all biocides, fungicides and pesticides, protective clothing must be worn while using the product. This should include overalls, rubber gloves, goggles and respiratory protection. Our skilled technical team are always available to offer support and advice on any aspect of using this effective product. For more information on Twistfix masonry repair solutions, basement waterproofing systems, insulation fixings and more, please contact 0845 123 6006 or email us at sales@twistfix.co.uk.